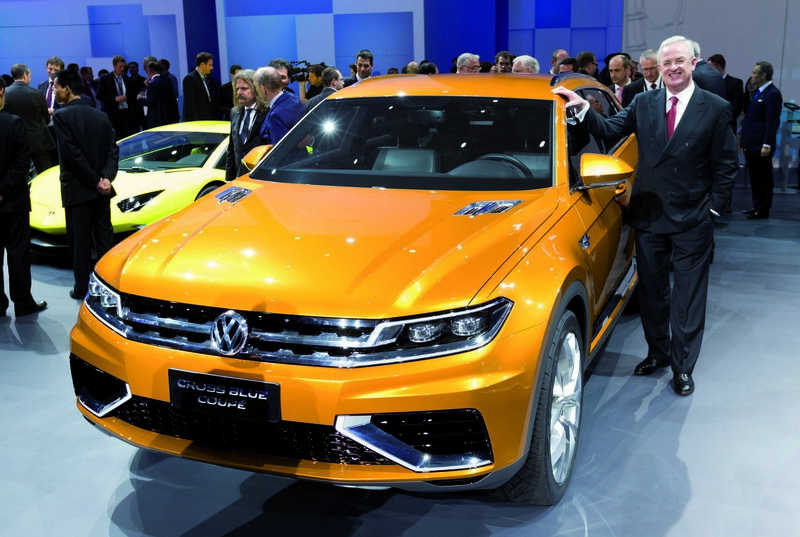 Πριν επτά μήνες η Volkswagen είχε παρουσιάσει στην έκθεση της Shanghai το CrossBlue Concept, ενώ χθες ανακοίνωσε ότι στην επερχόμενη έκθεση του Los Angeles θα φέρει μια ελαφρώς έκδοση του αυτοκινήτου, που θα είναι πιο κοντά στη παραγωγή. Στιλιστικά, δεν δείχνει να έχει υποστεί κάποια αλλαγή καθώς μοιάζει ολόιδιο με πρώτο concept και μας δείχνει τη νέα σχεδιαστική φιλοσοφία που θα έχει η επόμενη γενιά του Tiguan. Αυτό έχει μήκος 4,889 μέτρα, πλάτος 2,015 μέτρα, ύψος 1.679 mm και 2,980 μέτρα μεταξόνιο. Πατά πάνω σε ζάντες 22 ιντσών με ελαστικά διαστάσεων 285/45, με τον χώρο αποσκευών να αγγίζει τα 537 λίτρα. Ζυγίζει 2.220 κιλά και διαθέτει σπορ μπροστά προφυλακτήρα με πολύ λεπτή γρίλια και LED φωτιστικά σώματα, αεριζόμενο καπό, ματ αλουμινένια διακοσμητικά, αεροτομή και διπλές απολήξεις εξατμίσεων ενσωματωμένες στον πίσω προφυλακτήρα. Όμως τα μηχανικά του μέρη είναι αυτά που έχουν αλλάξει, με το ανανεωμένο CrossBlue Concept εξακολουθεί να έχει ένα plug-in υβριδικό μηχανικό σύνολο, που αποτελείται από έναν V6 TSI και δύο ηλεκτρικά μοτέρ. Έτσι, η ηλεκτρική αυτονομία έχει πέσει από τα 33 χλμ στα 20,9 χλμ, ενώ το ίδιο έγινε και με την συνολική αυτονομία του, αφού η Volkswagen τη μείωσε από 1.190 χλμ στα 917 χλμ. Ο γερμανικός κολοσσός αρνήθηκε να εξήγησε γιατί τα τεχνικά χαρακτηριστικά έχουν αλλάξει, με το Δελτίο Τύπου να αναφέρει ότι το CrossBlue Coupe concept που θα φέρει στο στη πόλη των Αγγέλων θα έχει μπαταρία ιόντων λιθίου 9,8 kWh ενώ η προηγούμενη ήταν 9,9 kWh. Los Angeles, November 2013 — Volkswagen is giving a spectacular glimpse at the future and at a new era of SUV design with the U.S. debut of the CrossBlue Coupé concept at the 2013 Los Angeles Auto Show. 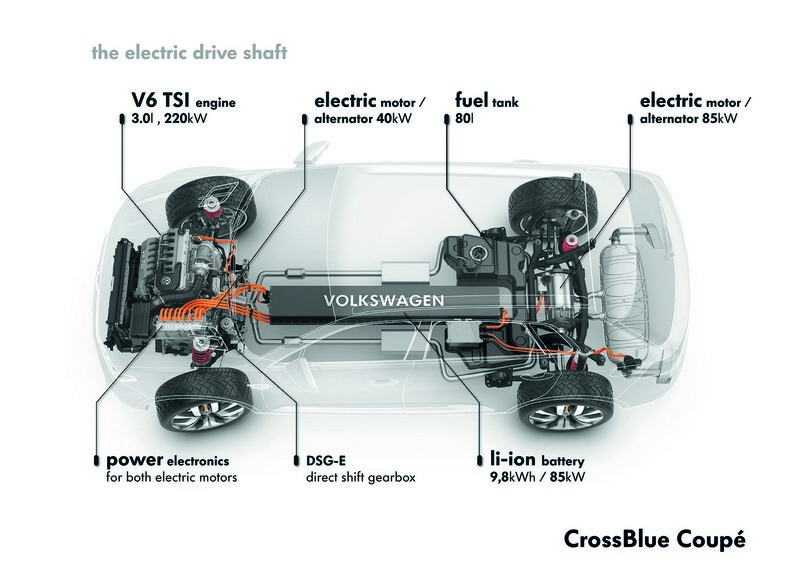 The CrossBlue Coupé has a plug-in hybrid powertrain that is as fuel-efficient as it is sporty. A turbocharged direct-injection (TSI) V6 gasoline engine works together with two electric motors to produce as much as 415 horsepower. 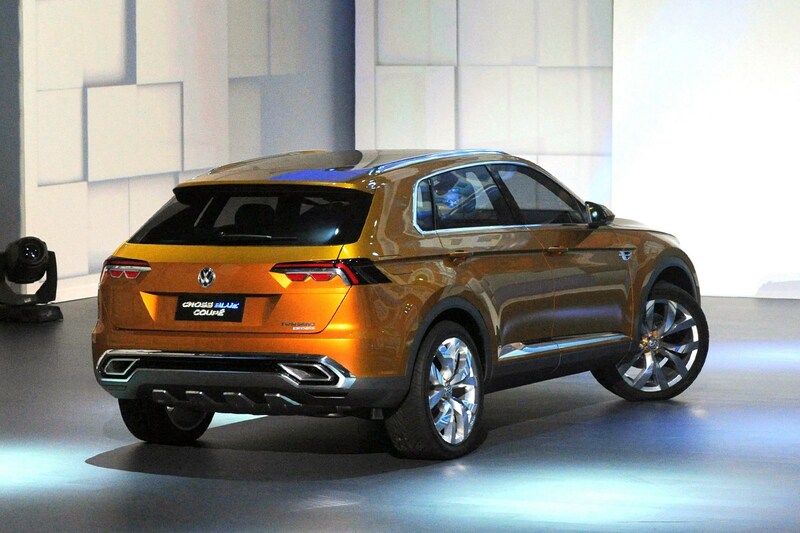 This SUV can thus perform like a sports car, with a 0 to 60 mph time of just 5.8 seconds and a top speed of 147 mph. Despite its impressive performance, the CrossBlue Coupé has a manufacturer estimated combined fuel consumption of 70 MPGe. 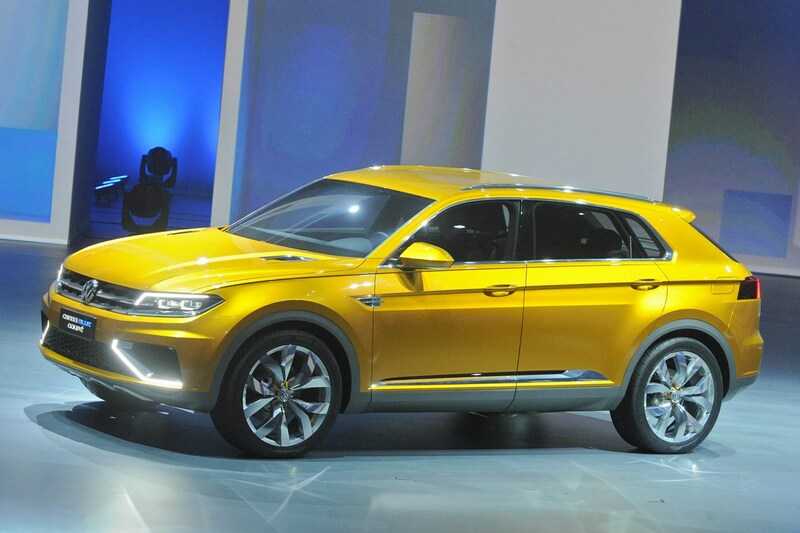 In hybrid mode, it allows for a theoretical range of around 570 miles. The CrossBlue Coupé can be driven as a zero emissions EV for up to 13 miles at a maximum speed of 75 mph: to intentionally use this eco-friendly mode in urban areas, the driver simply pushes a button. 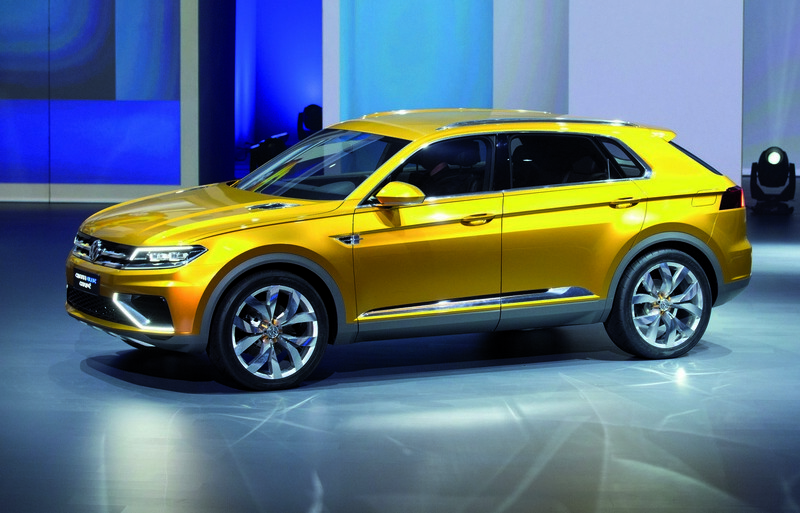 The concept vehicle is based off the new Modular Transverse Matrix (MQB) and could, if it were produced, be fitted with conventional four- and six-cylinder engines running on a variety of fuels such as gasoline, diesel, and CNG. 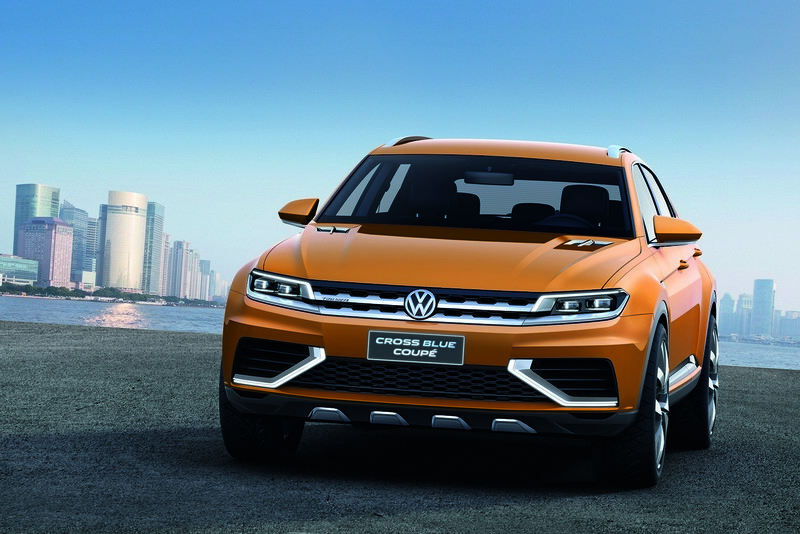 Equipped with five comfortable seats and a spacious trunk, the CrossBlue Coupé definitely belongs to the SUV avant-garde. 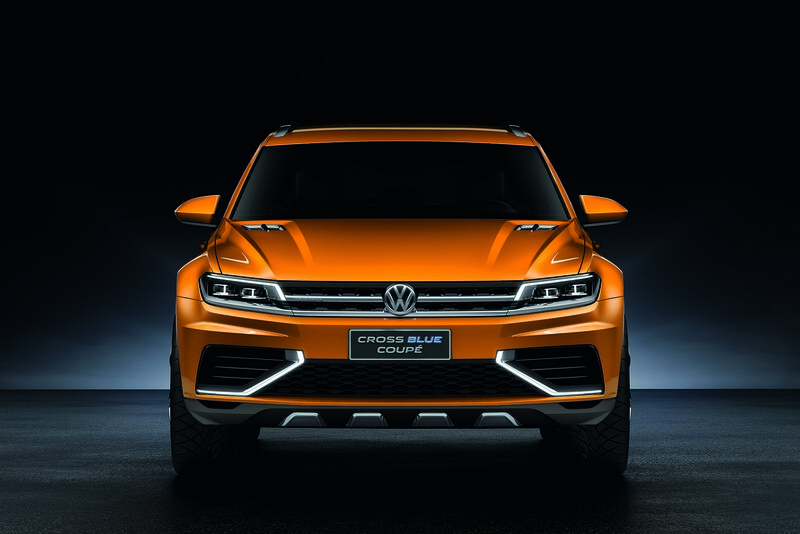 The CrossBlue Coupé is exactly 192.5 inches long, 79.3 inches wide, and 66.1 inches high. The vehicle thus has a confident, low slung, and four-square stance that is enhanced by the wide tracks (67.3 inches at the front, 68.0 inches at the back), the relatively long 117.3-inch wheelbase, and large 22-inch aluminum-alloy wheels that are shod with 285/40 tires that were specially designed for the concept car. Sporty side profile. 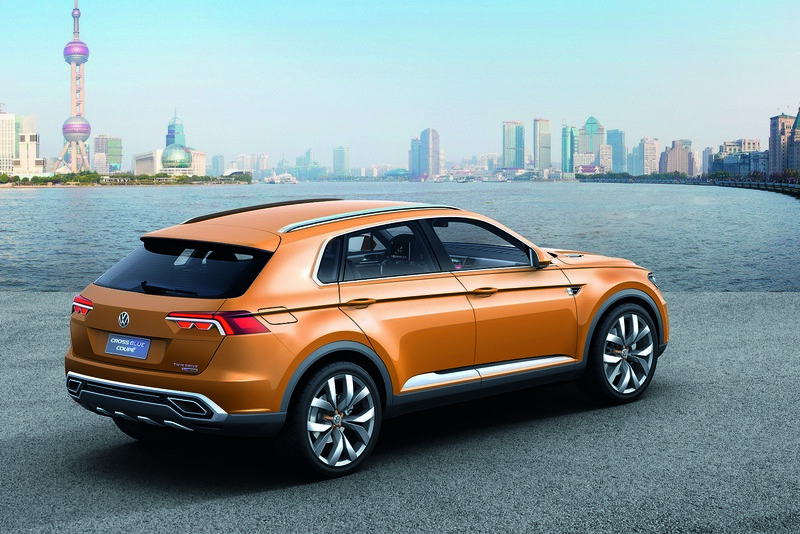 The concept features a long and broad hood, a very short frontal overhang, and a long roofline. 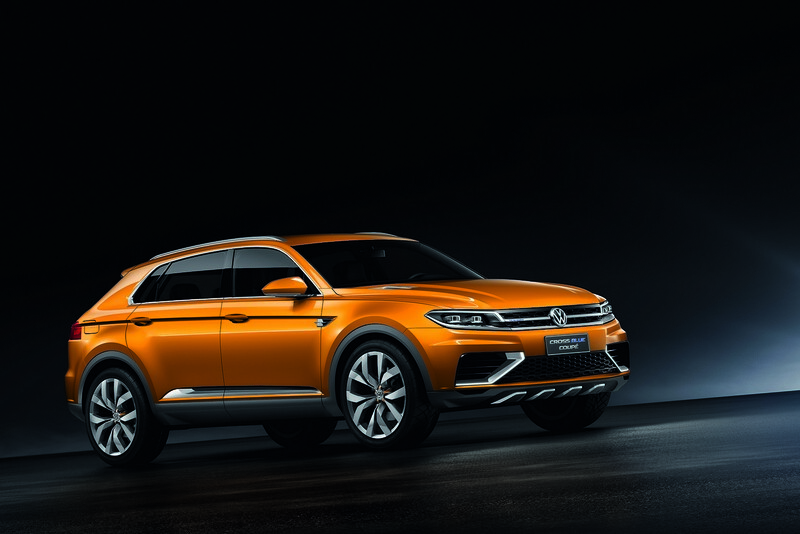 The concept’s sporty stance is further improved by a very short A-pillar and a very “fast” (swept back) C-pillar, as well as a distinctive character line. 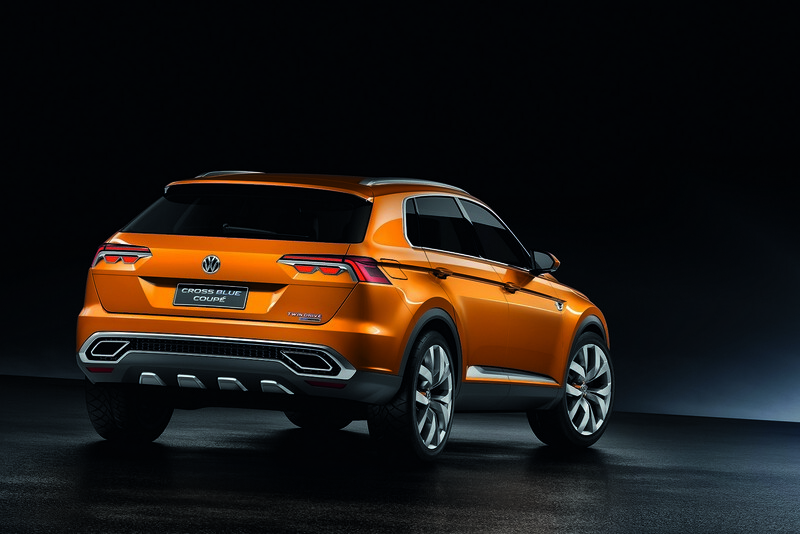 The designers have combined a dominant line—one that starts in the upper area of the rear lights and runs at the height of the door handles—with a second line that begins beneath the rear lights and ends in the front fender. The space between the two lines narrows towards the front and ends beneath the A-pillar in a stylized chrome air outlet. 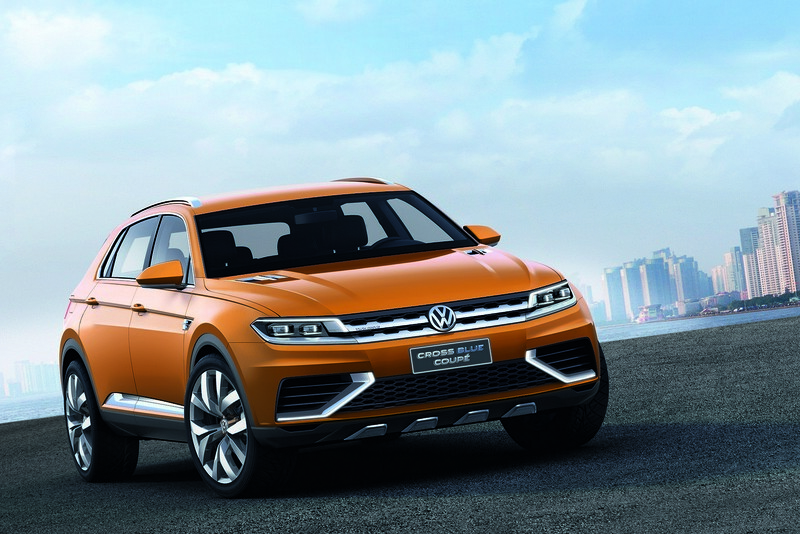 These lines significantly reduce the SUV’s visual center of gravity. The 22-inch polished aluminum-alloy wheels also feature a new design, with five V-shaped dual spokes that have a matte finish on their inner surfaces. 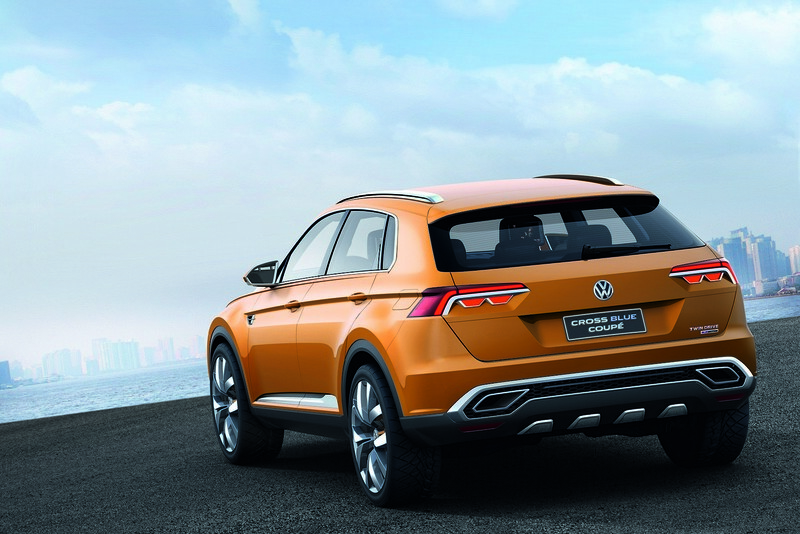 Five trim pieces that are painted in the “CrossOrange Metallic” body color surround the central VW badge, presenting yet another design element. 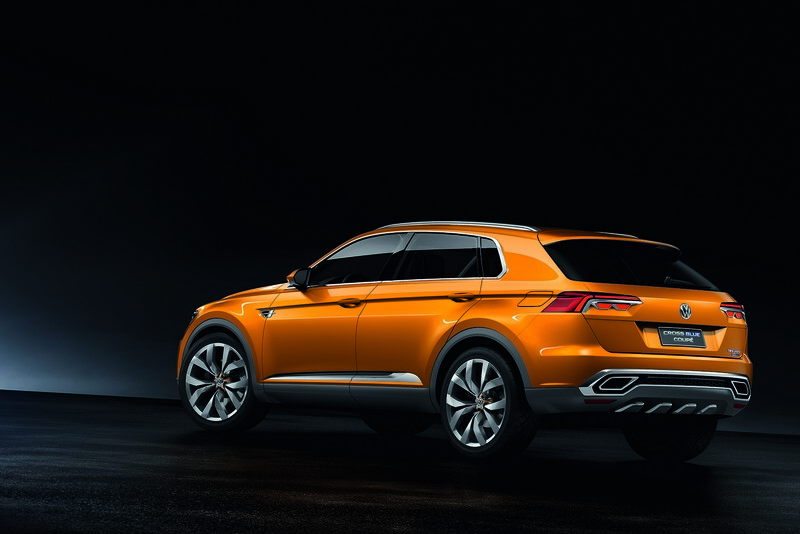 Despite the dynamic styling, practicality is central to this vehicle’s mission. An example is the way that the doors open wide for optimal entry and egress, as well as extending down into the sill area. 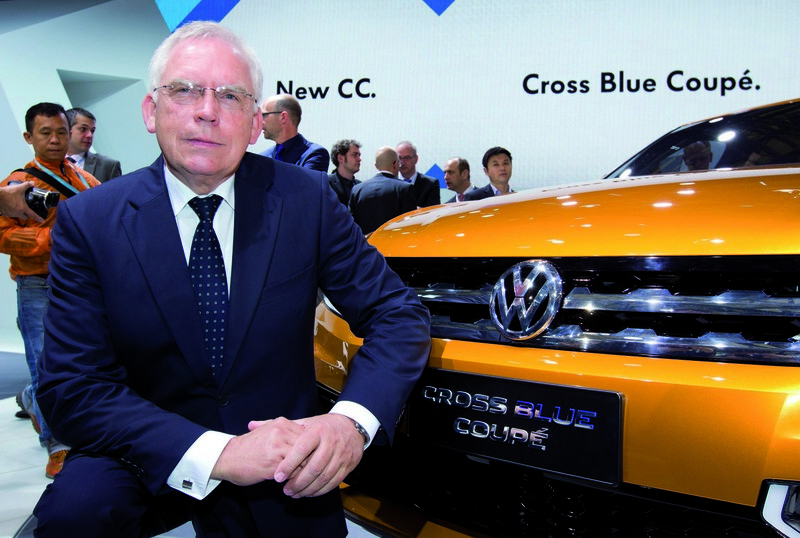 The ports for the gas tank and battery were uniformly integrated into the design of the CrossBlue Coupé. The fuel filler neck is located under a lid on the right side of the vehicle, with the electrical outlet cover opposite it on the left side. This consists of one socket for charging the high-voltage battery and another for connecting electric devices; this 230V/16A interface allows the CrossBlue Coupé to act as an emergency generator. 3D Front End. 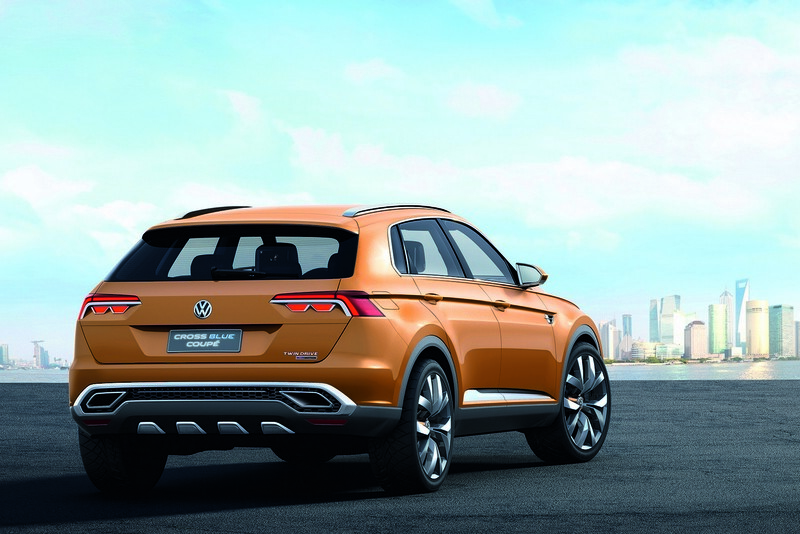 A key element of Volkswagen design DNA is the predominance of horizontal lines. The front end of the CrossBlue Coupé follows this to perfection, yet the designers have created a new layout by integrating the lighting architecture into the grille area. The key elements of the front-end design are the free-standing LED headlights, LED light signature, and radiator grille trim. 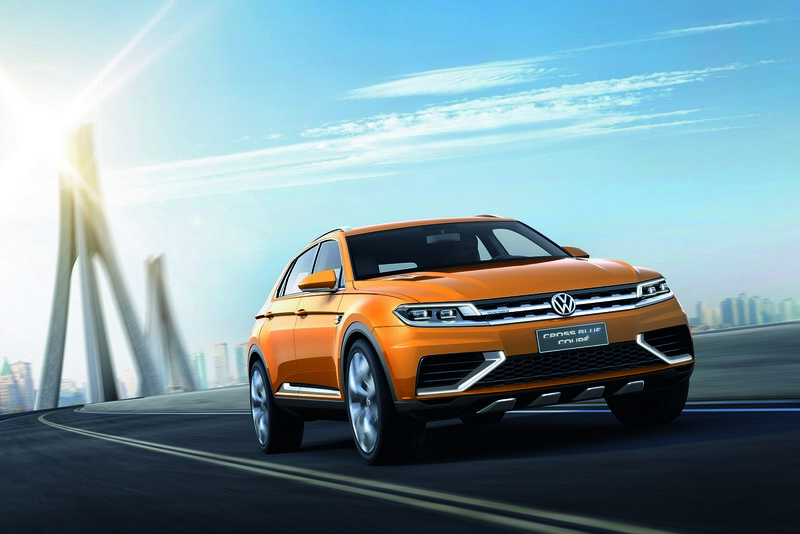 The radiator grille trim, consisting of two polished aluminum struts and the VW logo, is now a 3D element extending into the headlights. The lateral ends of the upper strut are used for the Daytime Running Lights, creating a unique and very special “eyebrow” light signature. Meanwhile, the lower cross strut is a pure aluminum element that extends from beneath the free-standing LED headlights into the fenders. The entire grille unit is surrounded by a high-gloss black frame. The lines of the LED light signature extend into the lower area of the bumper, bordering the side intakes and the central radiator inlet. Skidplates are fitted under the bumper to protect the underbody. Exclusive rear section. 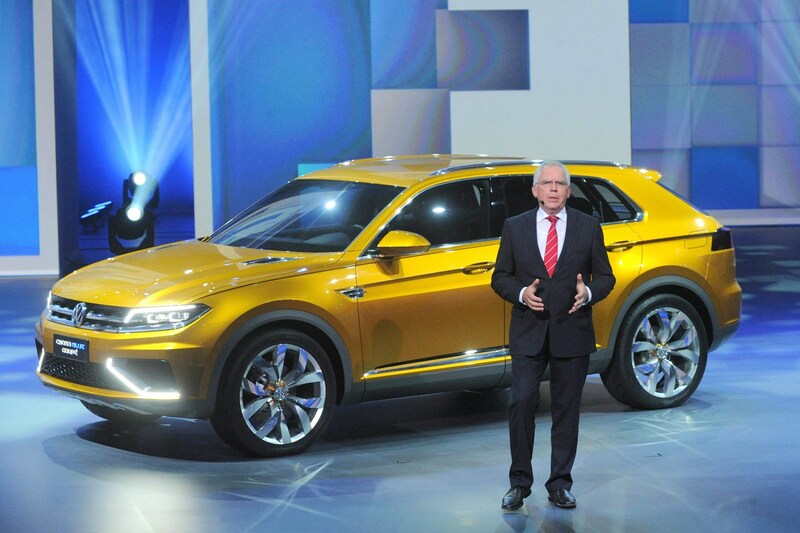 As with the front end, the designers sculpted a 3D look, again using aluminum elements. The upper area of the rear lights extends from the center of the trunklid right into the fenders, carrying the side character line into the rear of the vehicle. 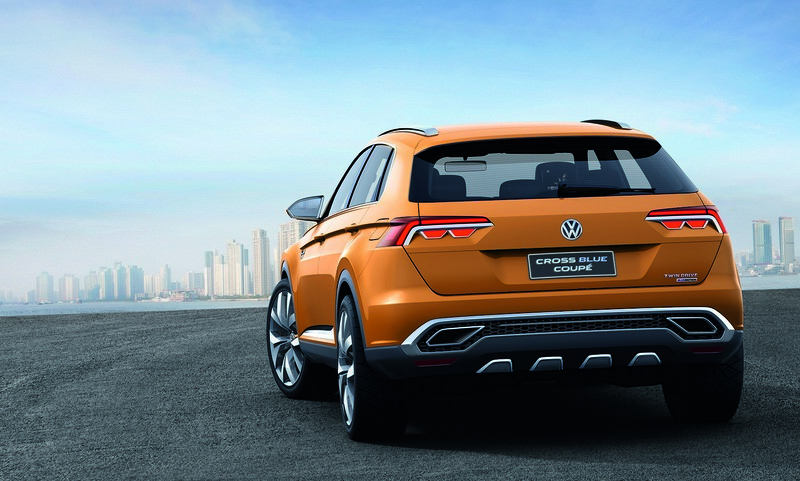 The rear lights are highlighted by an aluminum strip, under which two more lighting elements are integrated on each side. An especially prominent feature of the elegant and clean interior is a horizontal dashboard graphic that extends into the side door trims. Upscale materials abound in the cabin: velvety soft Nappa leather in “Anthracite Pearl” and “Asphalto”; chrome surfaces that are polished on top and sandblasted in a matte finish on their chamfered edges; dark aluminum; naturally-treated wood accents; and “Graphite” colored Alcantara® for the roof pillars and headliner. Two-color configurable ambient lighting is matched to the vehicle drive mode: in “Eco”, it matches the “CrossOrange” exterior paint and switches to red in “Sport”. 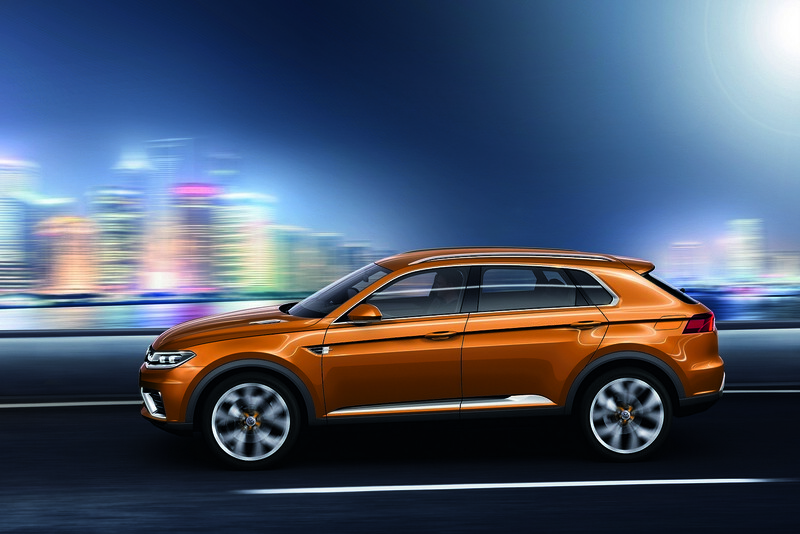 The interplay of forms, colors, and materials makes a typically masculine SUV statement, combined with an urbane ambience. 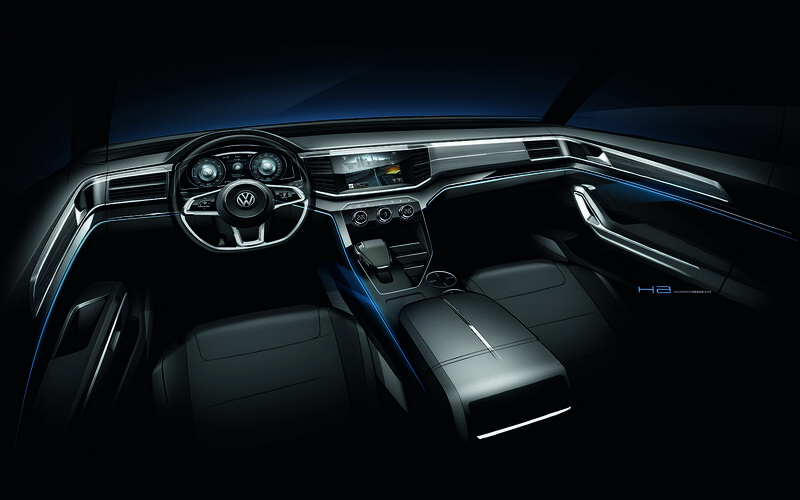 At the very top, the dashboard is framed by “Anthracite Pearl” colored leather with dark contrasting seams. Below it, a dark aluminum panel integrates the central 10.1-inch infotainment display, air vents, and 12.3-inch instrument screen display. There is a delicate chrome strip on the center of this panel, with chrome surrounds on the air vents and screens. On the next level down, an anthracite-colored spruce wood inlay extends into the door panels as well as down the center console. 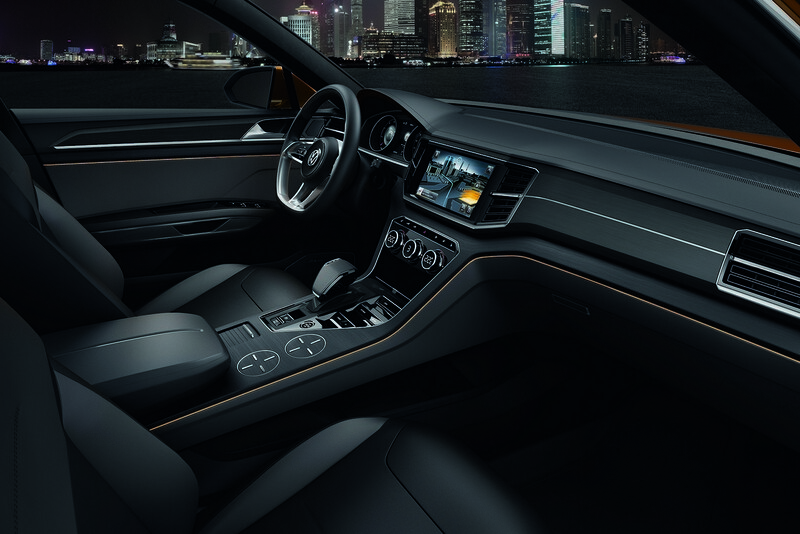 Below the wood inlay, there are panels covered in lighter “Asphalto” Nappa leather, with the ambient lighting running in a narrow line between the wood and leather on the dashboard. Five comfortable seats. 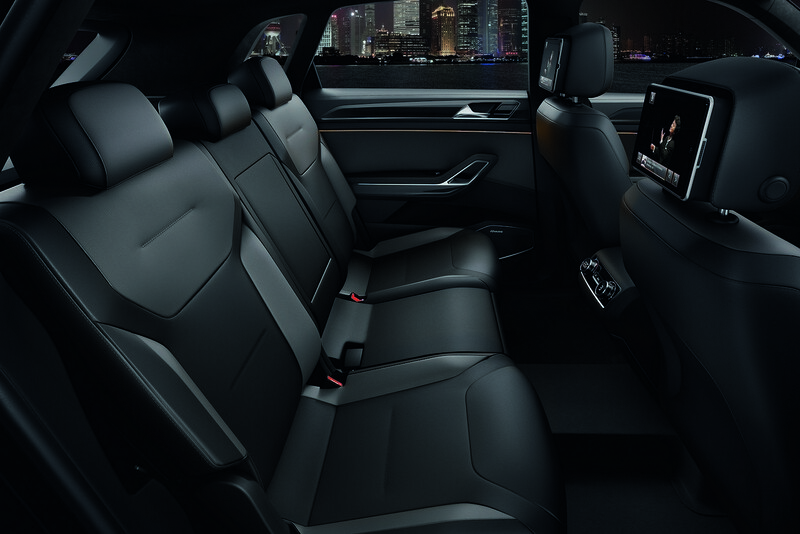 The seats are also upholstered in elegant Nappa leather. The individual seat panels are designed in either the dark “Anthracite Pearl” or the contrasting “Asphalto”. The shading visually emphasizes the sculpting of the seats themselves. The rear bench seat offers fore-and-aft adjustment, three backrest positions, and folds in a two-thirds/one-third fashion. The car comes to life. As soon as the driver’s door is opened, the controls come to life. 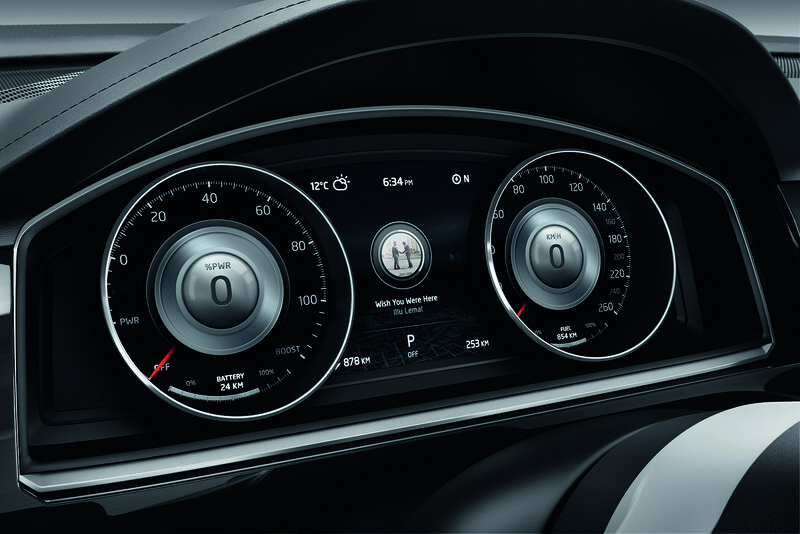 When the “Engine” (start) button is pressed, the switches for the climate control and headlights instantly lift from rest. At the same time, all of the display layouts appear on the monitors and the ambient lighting is activated. The uppermost level of the center console contains the buttons for the seat heaters and air circulation as well as the hazard lights switch. Beneath these, there are three knobs for the four-zone climate control: the left and right ones control the temperature, and the middle knob adjusts the fan level. Arranged conveniently on the right side, next to the shift lever grip, are the buttons for ESC deactivation (used when driving in deep snow, for example) and for the drive modes: “Sport”, “Eco”, “Offroad”, “Charge”, and “EV” (electric driving). The shifter for the six-speed transmission has very short throws, thanks to a new drive-by-wire logic. Like a joystick, the lever continually returns to its middle position; the “D”, “R” and “N” positions are activated by a short flick and “P” by a separate pushbutton that is integrated in the lever. 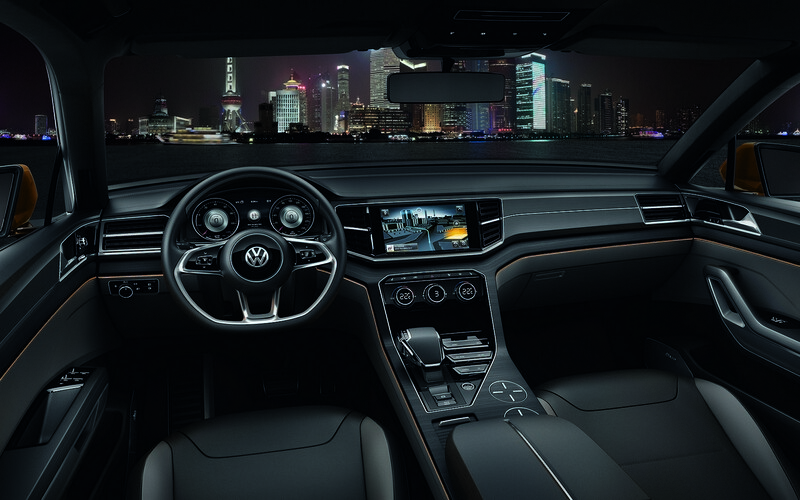 Infotainment touchscreen. 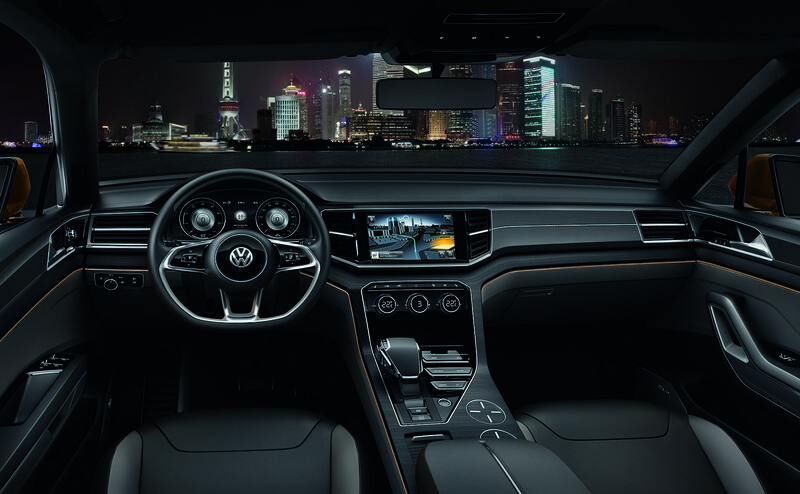 The central 10.1-inch touchscreen has proximity sensors and is used to control all the infotainment and entertainment functions, as well as to access the status of the hybrid system. The type of representation changes according to the driving mode. For instance, when the “Sport” mode is selected, buildings that are shown in the navigation display are “suppressed” in the 3D map representation, receding for a clearer and less busy image during fast driving. On the other hand, an animated 3D representation is shown in the “Eco” mode, in which buildings rise up on the horizon like the structures in the movie Inception. Programmable instrument cluster. The instrument cluster is designed with analog gauges but is underpinned by user programmable software. The type of information changes between the “Eco” and “Sport” modes. In “Eco” mode, the “Powermeter” and battery status are two of the items shown in the left gauge, while the right-hand one displays speed and fuel level. The center dial is used to access functions such as gear selection, driving range, date and time, the weather, and navigation functionality such as distance to destination and points of interest. In “Sport” mode, the left-hand instrument shows the tachometer and displays torque and battery status at its center. A mobile mini iPad® has been integrated in each of the head restraints of the first seating row, so that passengers in the rear seats can also fully enjoy the audio, video, and online programs. Meanwhile, a Dynaudio® sound system delivers crystal-clear audio. 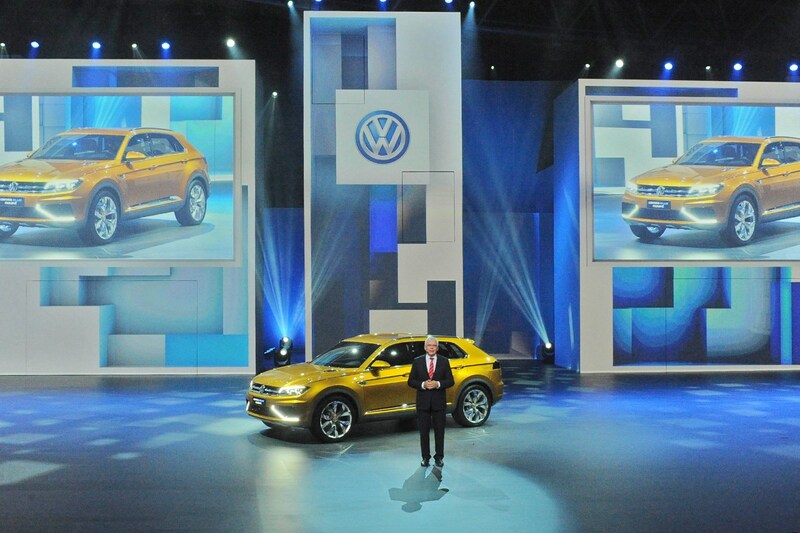 The CrossBlue Coupé is based on Volkswagen AG’s new Modular Transverse Matrix (MQB). While certain aspects of the MQB vehicles, such as the orientation of all the engines, are uniform, there is considerable scope for variation in dimensions such as the wheelbase and track widths. All new MQB models are designed so that they can be built with natural gas, hybrid, or electric powertrains as well as diesel or gasoline engines. 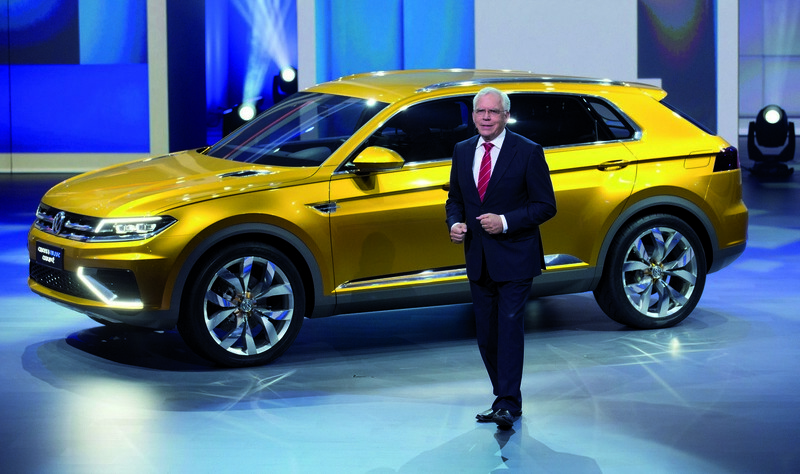 In this concept car, the following mechanical elements are featured: the MQB front suspension and four-link rear suspension; electro-mechanical MQB steering; a 295-horsepower EA390-series V6 TSI engine; and a six-speed DSG® dual-clutch automatic transmission. The vehicle’s electrical architecture includes a lithium-ion battery mounted in the center tunnel as well as a pair of electric motors: 54 hp at the front and 114 hp at the back. The innovative plug-in hybrid system enables the vehicle to achieve a manufacturer estimated 70 MPGe, yet the vehicle can accelerate from 0 to 60 mph in 5.8 seconds and reach a top speed of 147 mph. The V6 engine develops 369 pound-feet of torque from as low as 1800 rpm, a figure that is boosted to 516 lb-ft when the two electric motors are engaged. Zero emissions whenever possible. The default drive program is “Eco” or hybrid mode; it optimally manages use of the drive sources. The electric motors are used for propulsive power as often as possible in this case. The driver can switch to the Sport mode by pressing a button; in this case, the vehicle exploits the maximum power of the drive system. There is also an Offroad mode (permanent all-wheel drive), EV mode (driving with zero emissions), and a Charge mode (battery charging). EV mode. Powered by its lithium-ion battery, the CrossBlue Coupé can cover a distance of up to 13 miles in pure electric mode; top speed is limited to 75 mph. 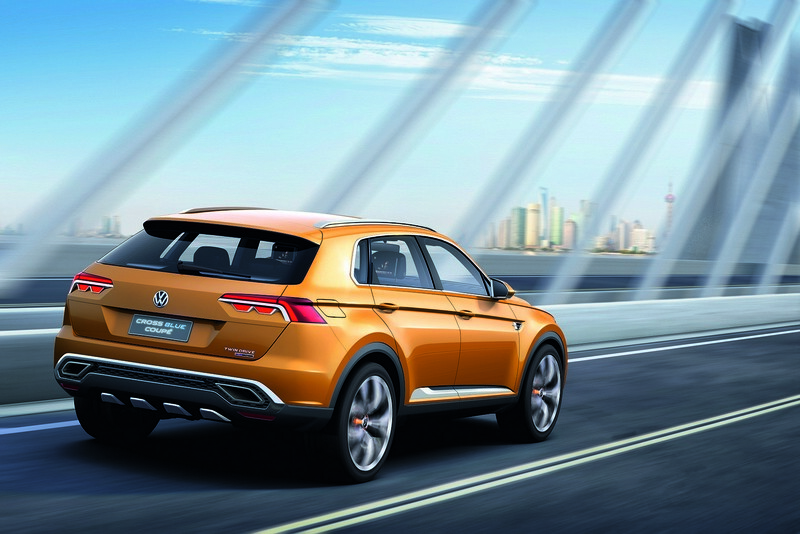 In EV mode, only the 114-hp rear electric motor provides propulsion. 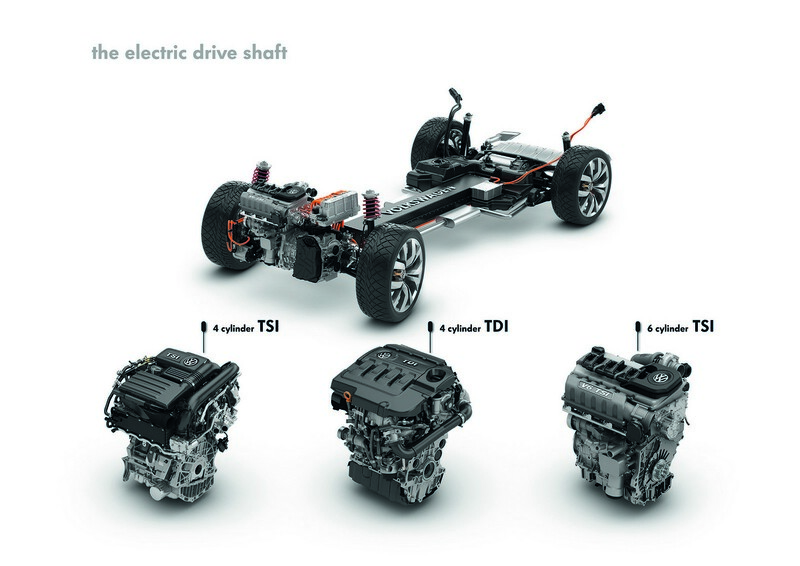 In all-electric driving, the V6 TSI engine is decoupled from the drivetrain by opening the clutch, and the engine is shut off. As soon as there is a need for gasoline power—because of the battery charge or other parameters—it is coupled to the drivetrain again, jolt-free, within fractions of a second. In all-electric driving, the electric motors are supplied with energy from the eight-module 9.8 kWh lithium-ion battery that is housed in the center tunnel. 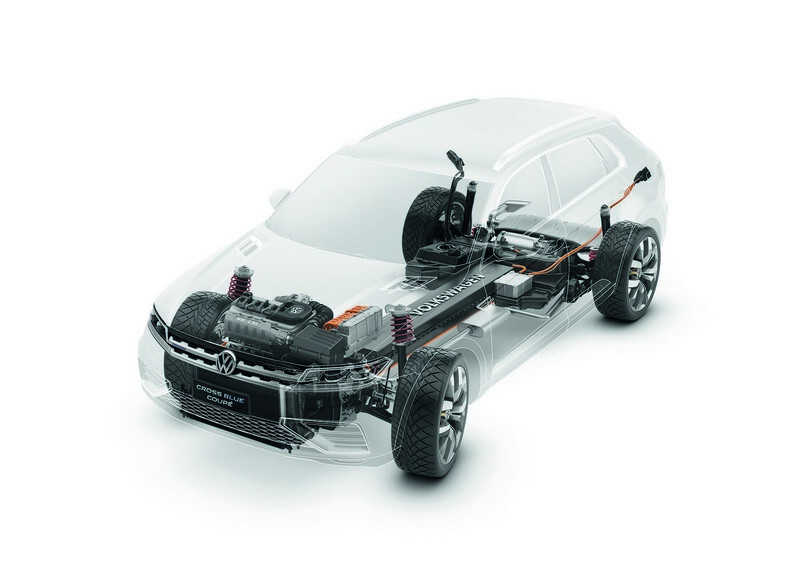 The power electronics unit—integrated in the engine compartment and operating at around 375 volts—manages the flow of high-voltage energy to and from the battery and the electric motors. Meanwhile, a DC/DC converter supplies the body electrical system with the 12-volt electrical power it requires. The electric drive system does not impose any limitations on interior space whatsoever. The battery can be charged either by external power sources (230-volt connections) or while driving. Charging: The driver can intentionally switch over to a charging mode by pressing another button on the center console. 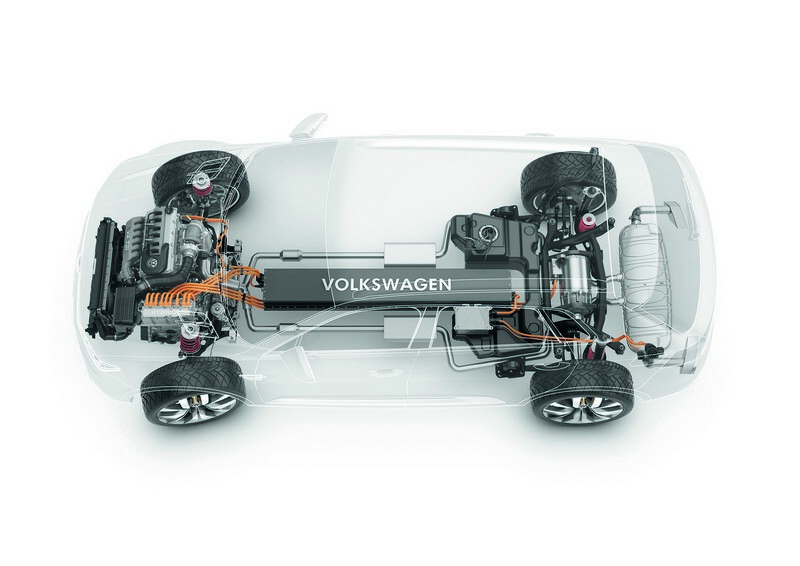 The TSI engine charges the battery while driving in order to store enough electrical energy for EV operation later in the journey—for instance, in an urban area. There are also a number of other specific modes that automatically come into play, depending on the circumstances. Coasting: As soon as the driver releases the accelerator pedal, the engine and electric motors are decoupled from the drivetrain and the engine is shut off, provided that the battery is sufficiently charged. This is referred to as “coasting.” No emissions are generated. Battery regeneration: Whenever the driver releases the accelerator pedal or applies the brakes, and the battery is insufficiently charged, the two electric motors act as generators and feed energy recovered from the brakes into the lithium-ion battery. In this case, the TSI engine is also shut off and decoupled from the drivetrain to ensure maximum regeneration. 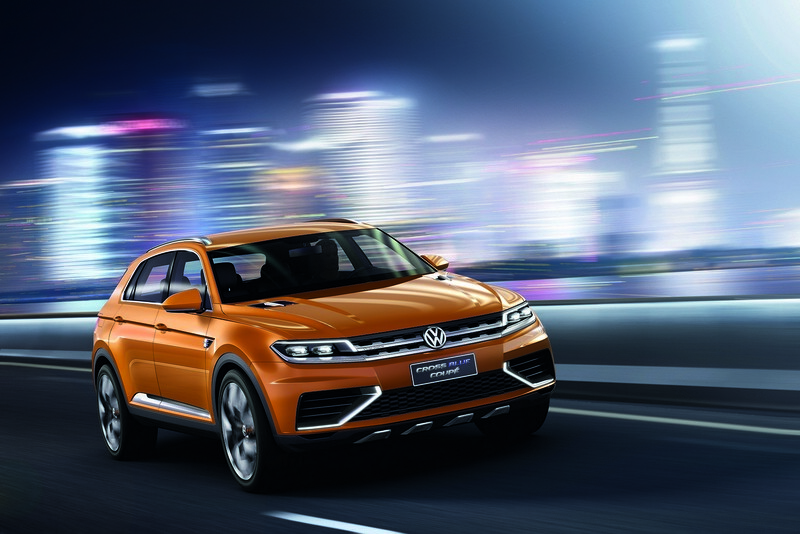 Boosting: When very sporty performance is required, the electric motors form an alliance with the TSI engine known as “boosting”: in this mode, all four wheels are driven. Offroad (“propshaft by wire”): All four wheels are also driven whenever Offroad mode is intentionally activated. In this case, however, the front electric motor—which is now supplied with energy by the TSI engine—operates exclusively as a generator and a power source for the electric motor at the rear. Since the energy for driving the rear wheels is electrical rather than mechanical, this is referred to as “propshaft by wire”. 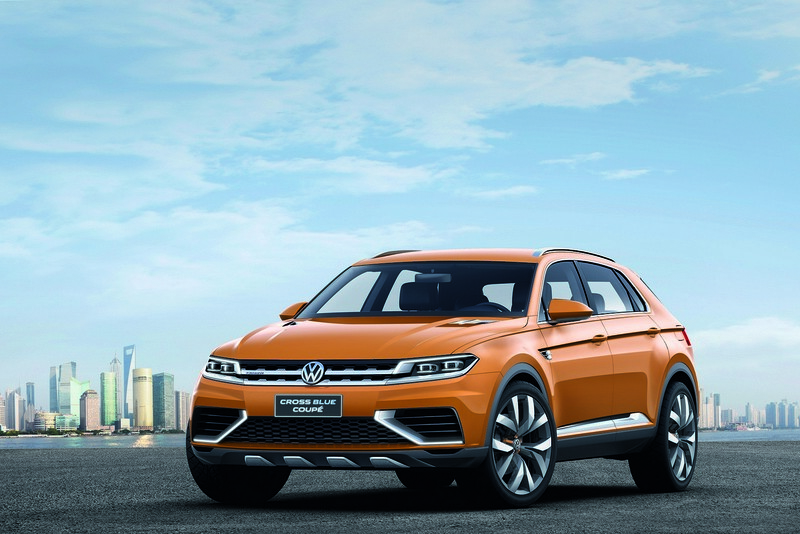 Because the TSI engine drives the front wheels in off­road mode, the four-wheel-drive system is still operational even when the battery doesn’t have much charge.